It seems the newest trend in the fashion world comes in the form of a subscription box. Great news for us in Canada, we finally have a Canadian fashion subscription box! Magnolia Post Co. offers a monthly fashion box of three to four incredible items picked just for you. Magnolia Post Co. asks you to fill in your style profile, which is a handful of specific questions about what you like and do not like to wear. You then are asked your general size and voila, a box full of fashion finds arrives at your door in five to ten days! Now the fun part- let me tell you what was in my box! A festive pair of leggings! What really surprised me was how well all the items fit, and the quality of each item was great. Each item is so easy to wear and this subscription box is perfect for yourself and to give as a the coolest gift ever! 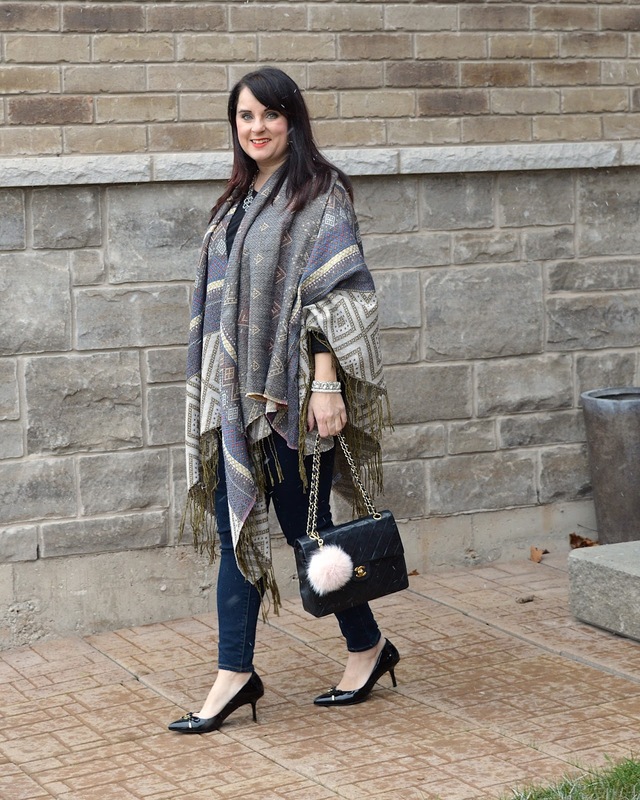 I am wearing the poncho in the picture below (more on this piece later). The black and white dress is mostly white with a small black chevon inspired print. This dress has short sleeve (which I love), and pulls over your head (no zipper yay!!). 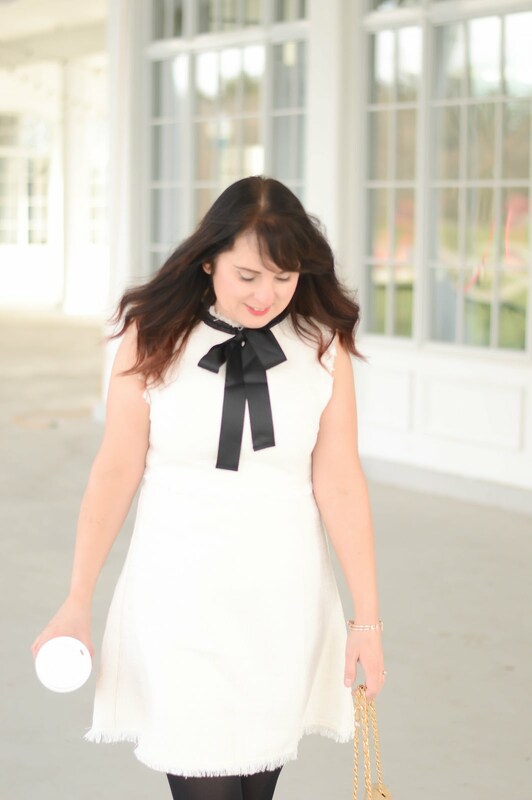 This dress is so comfortable to wear and I paired it with a classic black coat. This dress is easy to wear daytime into night-time by adding a statement necklace and a pair of heels. The next item in the Magnolia Post Co is this black pleated metallic thread skirt. This has to be my fave item in the box. This skirt again, has no zipper so it pulls on and off easily and doesn't hug or pinch. This is the perfect skirt to wear when you are enjoying Christmas dinner because of the elastic waist, there is nothing worse than having your skirt tug your stomach after you eat (ha ha!) I have already worn this skirt three times and I have only had my Magnolia Post Co box for a week! 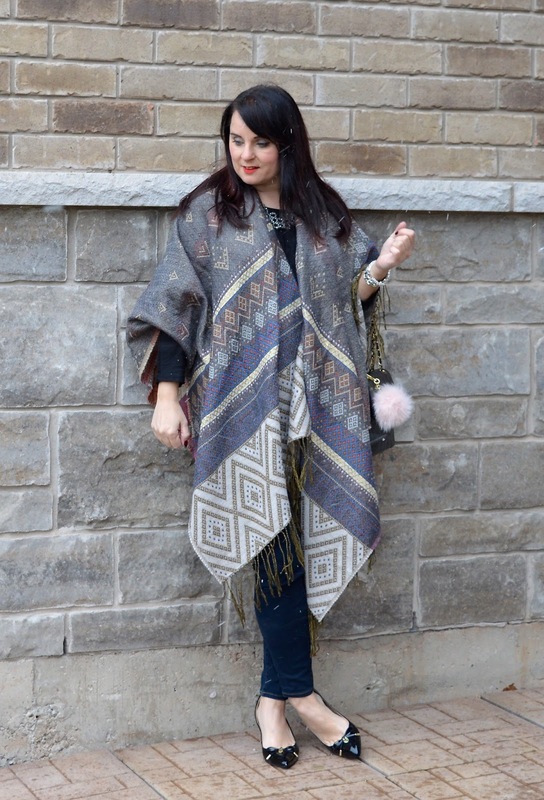 Next up is this fantastic printed poncho/cape/. The material is heavy and luxurious and I know this piece is warm enough to wear on a day when the temperature is hovering around zero. I love how it throws on and looks amazing with all neutrals. 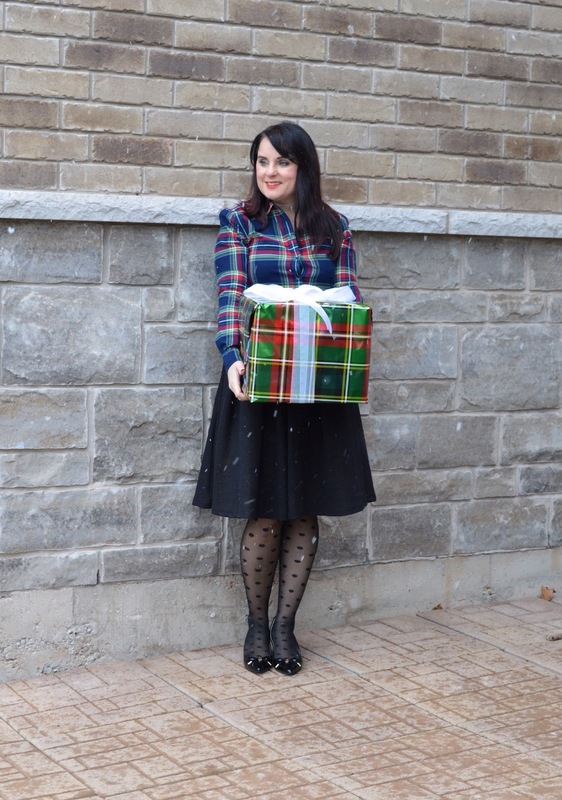 The surprise item in this box is the festive leggings! These are perfect for the season and are great for those lazy mornings! Magnolia Post Co. is a fantastic subscription box and I can't wait to get my next box. For $100 a month I think this is a great price point and a phenomenal buy!